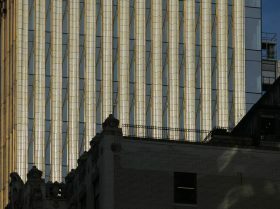 “Some people wonder if Mr. Barnett will become a victim of the condo explosion he helped create,” wrote the Wall Street Journal today in a rare expose of Extell’s Gary Barnett, referring to the success he had with One57, considered the catalyst for the supertall, ultra-luxury condo boom, and the more challenging climate he’s facing with the Central Park Tower. The latter, which will be the world’s tallest residential building at 1,550 feet, launched sales in October, but in a soft luxury market, it’s not a sure bet that the mega-developer will be able to achieve his projected $4 billion sellout and the title of the nation’s most expensive condominium ever. In a likely noncoincidental move timed with the Journal story, Extell today launched the tower’s new website (h/t Curbed), and it gives us mere mortals some of the first views inside the billionaire bunker. It seems as if almost every day we hear of a new big-ticket sale on Manhattan’s “Billionaire’s Row,” the glittering corridor just south of Central Park in Midtown. 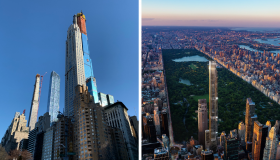 Eight-figure sales at a growing collection of supertalls like One57, 432 Park Avenue and 111 West 57th Street seem almost ordinary. 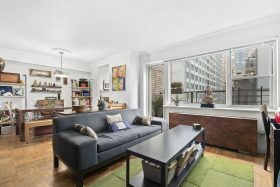 But it’s still possible to snag a home among the oligarchs and moguls: Two units on the market at the classic co-op building at 100 West 57th Street can be yours for $325K (for a studio) and $450K (for a spacious one-bedroom). If you’re looking for more than a pied-a-terre, you could even combine both contiguous units and still come in under a mil. Without even reaching its final height of 1,428 feet tall, SHoP Architect’s Midtown supertall is already boasting amazing views. 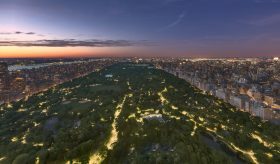 New photos released this week of 111 West 57th Street, which recently surpassed 1,000 feet high, show off views from the tower’s 64th, 72nd, and 73rd floors. 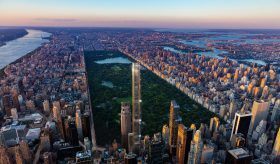 Upon completion, the Billionaires’ Row tower will become the tallest residential building in the world, taking the title from 1,396-foot 432 Park Avenue, (until 1,500-foot Central Park Tower tops out). With a super slender frame (a ratio of 1:24), 111 West 57th Street is also set to become the skinniest skyscraper in the world. Sure, Michael Dell has bragging rights to buying One57‘s $100 million penthouse, the most expensive home ever sold in New York City, but Bill Ackman’s $91.5 million buy a few floors down came with a coveted terrace. Only two units in the Billionaires’ Row building claim “private outdoor space on the park,” and the second has just come on the market for the first time, asking $28.5 million. 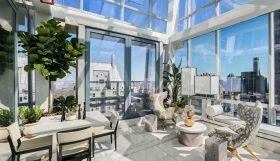 Dubbed the Spring Garden Residence (as opposed to Ackman’s “Winter Garden Penthouse,” as Curbed notes), the 41st- and 42nd-floor duplex boasts a 43-foot-long great room wrapped in floor-to-ceiling windows that lead to a 671-foot solarium and a terrace with views of the park and skyline. 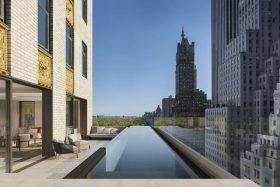 Another Billionaire’s Row sky mansion–this one with a piano lounge, two kitchens, a wraparound terrace, and two swimming pools spread out over five stories at 730 Fifth Avenue–is on its way to record-smashing glory, according to The Real Deal. Sources say an unknown buyer has spoken for the 12,536-square-foot residence in the actual crown of the Crown Building, to the tune of $180 million. 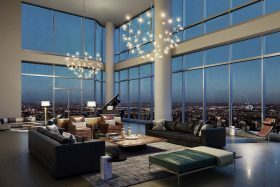 If the sale closes, it will be the New York City’s most expensive sale ever at $14,358 per foot (also a record), surpassing Michael Dell’s $100.5 million penthouse atop Extell Development’s One57. 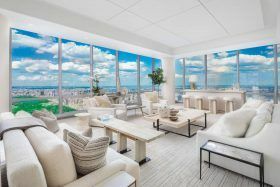 6sqft reported back in October that an 85th-floor unit in the building known for the city’s most expensive residential sale ever was back on the market after a total overhaul for a noteworthy $70 million. The 6,240-square-foot condominium was purchased by Canadian billionaire Lawrence Stroll for $55.6 million in 2014. After four months, the sprawling sky mansion has been discounted by $11 million according to Mansion Global; the building’s third-highest listing is now asking $59 million.